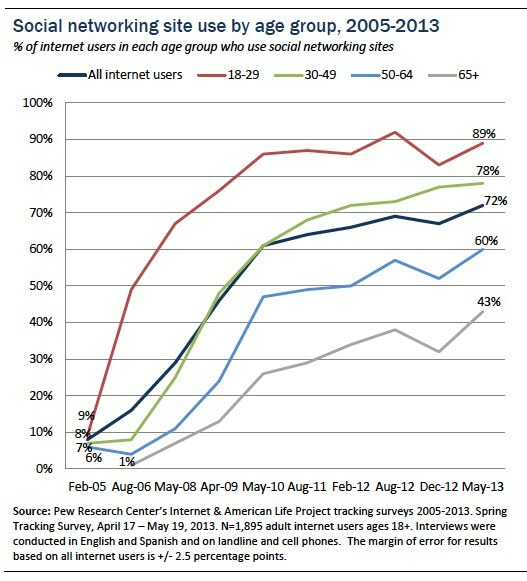 As of May 2013, almost three quarters (72%) of online U.S. adults use social networking sites, up from 67% in late 2012. When we first started asking about social networking sites in February 2005, just 8% of online adults said they used social networking sites. 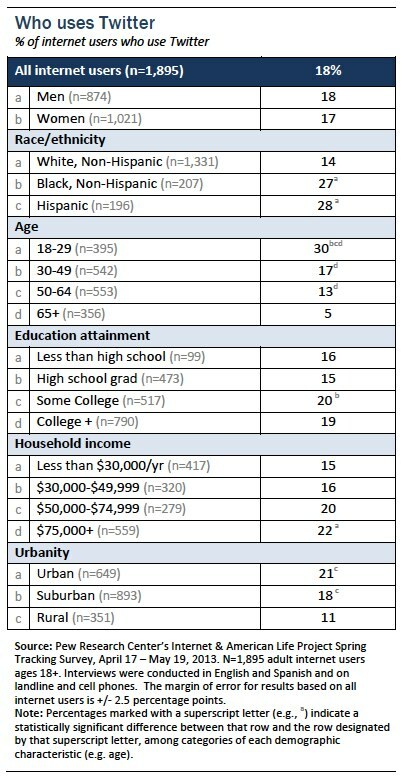 In addition to asking about general usage of social networking sites in our current survey, we included a stand-alone question about Twitter and found that 18% of online adults are now Twitter users. This is roughly double the 8% of online adults who used Twitter in November 2010, the first time we asked about Twitter as a stand-alone platform. 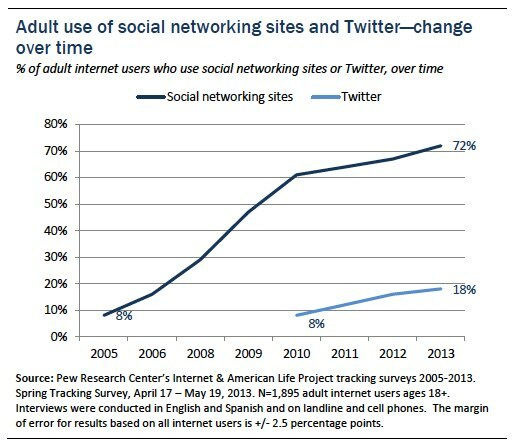 The percentage of internet users who are on Twitter has more than doubled since November 2010, currently standing at 18%. 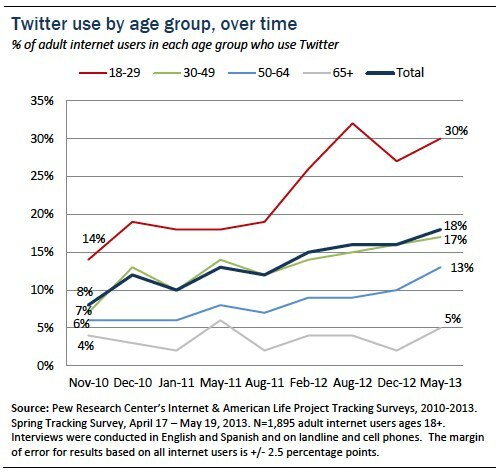 Internet users ages 18-29 are the most likely to use Twitter.